Any online-shopping enthusiast has probably visited Farfetch at least once, likely shocked at the incredible range of selections and sales. 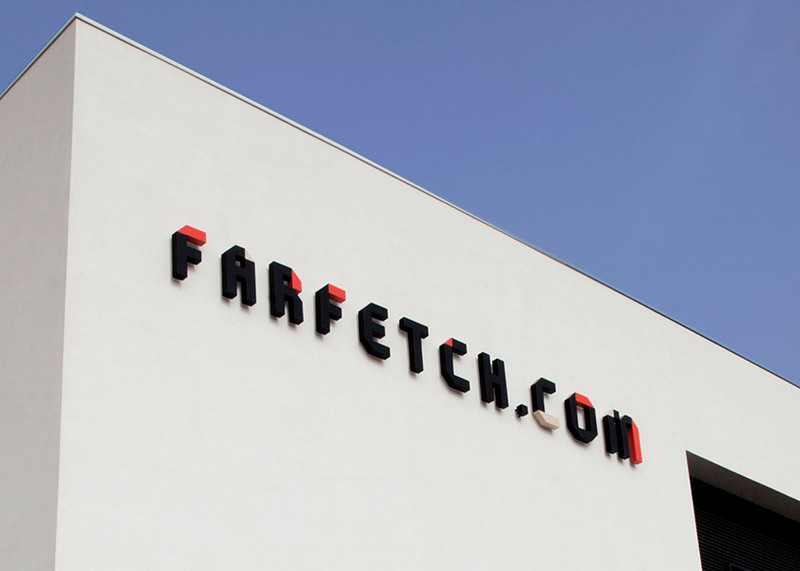 Founded in 2007 by Jose Neves, Farfetch has become a member of the "Ecommerce Heavyweight Club", following the footsteps of Yoox Net-a-Porter, SSENSE, MatchesFashion, and more. In March 2015, with additional investments from its Series E funding, Farfetch was valued at $1 billion and became the unicorn of online fashion retail. Farfetch didn't stop there. By May 2015, Farfetch acquired the London boutique retailer Browns. In May 2016, Farfetch closed its Series F round raising $110 million and bringing in powerful new investors and advisors. In February 2017, Natalie Massenet (founder of Net-a-Porter) joined Farfetch as Co-Chairman. With rumors of a $6 billion IPO, Farfetch is undoubtedly one of the successful luxury ecommerce sites in history. A quick visit to farfetch.com will reveal numerous aspects about the online retailer. First, you may be astonished by the sheer amount of selection offered by Farfetch. You also can find pieces that are boutique-exclusive; highly sought after pieces not available online elsewhere; extremely expensive pieces that are usually not stocked by an online retailer. The Farfetch Sale section is unparalleled compared to any other online retailer. The minimalistic site is responsive and well-made. Farfetch's app works smoothly across all iOS and Android platforms. However, the Deus Ex Machina Farfetch has against its competitors is embedded within the brand's identity and conception. Once you lift the hood of the machine that is Farfetch, you can comprehend how Farfetch managed to maintain its mind-boggling growth rate and revenue stream. Farfetch does not have warehouses; Farfetch does not carry inventory; Farfetch simply plays the role of a middleman between hundreds of boutiques around the world and the Farfetch customer. Farfetch is almost a marketplace like eBay or Grailed. When a customer places an order through Farfetch, the respective boutique fulfills and ships the item to the customer. Here lies the Deus Ex Machina, the Spear of Longinus, or whatever you want to call Farfetch's genius. By consolidating the inventories of all the boutiques that Farfetch partners with, Farfetch can flaunt the ridiculous amount of inventory listed on the site. The lack of inventory management and fulfillment allows Farfetch to completely skip the most stressful (and expensive) aspect of owning an online retailer. Farfetch creates a mutually beneficial relationship with its associated boutiques. Through Farfetch, local boutiques all around the world can display and sell its inventory in one of the biggest high-fashion retailer in the world. Farfetch takes 25% commission from its boutique partners. As you can imagine, as Farfetch grows larger and larger, they will undoubtedly have stronger negotiation terms with its boutique partners. Sound familiar? Of course, the average customer of Farfetch does not realize this process under the hood. Farfetch creates uniformity across its platform. The box you receive from Farfetch is carefully packaged in the signature box, with easy return processes like its competitors. Farfetch doesn't tell you which boutique supplied the Alyx belt you received in the mail. And that's the point! Farfetch creates an omnichannel experience for the customer. It's almost scary how Farfetch perfected this experience, which they call the "model of the future". Remember when I said Farfetch doesn't have warehouses? Well, Farfetch has warehouses everywhere. Farfetch has distribution networks everywhere. Thus, Farfetch has customers everywhere. 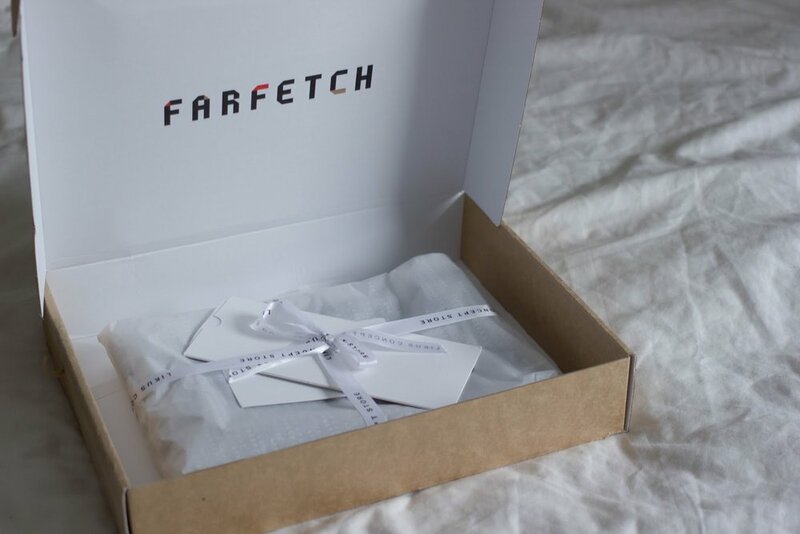 Farfetch offers same-day delivery in New York, London, Madrid, Paris, Los Angeles, Miami, Barcelona, Milan, and more. In contrast, Mr. Porter offers same-day delivery in New York, small regions in New Jersey, and the Hamptons. Farfetch can leverage its partnered boutiques to offer same-day deliveries in more than ten cities around the world. To any other online retailer, offering same-day delivery in ten cities will lead to a logistical nightmare. How in the world do you offer same-day delivery in New York when your warehouse is in Los Angeles? Not Farfetch. The omnichannel DNA of Farfetch allows the company to transcend the challenges presented by physical limitations. That is very, very impressive. What's more impressive is the flawless implementation of the omnichannel concept. The idea is genius, but it's no way shape or form easy to implement. Consolidating the inventory of more than 300 boutiques around the world requires incredible technical prowess capable of processing external data. I'm willing to bet money that Jose Neves is not the first person to envision Farfetch. Great ideas are common, but implementation of great ideas prove extremely challenging. Thus, we can understand why Farfetch positions itself as a technology company rather than another Barney's or Net-a-Porter. Farfetch must process large amounts of external data provided by boutiques, automate logistics of delivering the goods to the respective customer, and maintain the uniform visual of the site itself. Farfetch also needs to implement a flawless return service, take great product shots, and maintain customer service in different countries. Thus, I'm willing to bet more money that Farfetch employs more software and web engineers than any other online retailer in the world. Disruptor is a term we hear too often in the landscape of 2018. Perhaps the best examples are Uber and Airbnb. In less than a decade, Travis Kalanick has turned his ride-hailing service into a global phenomena, leveraging the lack of (or the infinite amount of) contracted drivers and cars. By skipping the management of cars and drivers, Uber can aggressively launch into cities and countries in light-speed. Airbnb is the largest hotel chain in the world, even though it owns zero hotels. Farfetch brought the same disruption to the online retail space. Uber, Airbnb, and Farfetch are not chained by physical limitations experienced by their competitors. The fashion industry is not always receptive towards the technological advancements around us. In the age of Amazon coordinating 2 day delivery across the entire North American continent, it amuses and frustrates me that LVMH just launched their new online retailer 24 Sevres. Too late is a gross understatement. Farfetch has its fair share of shortcomings. 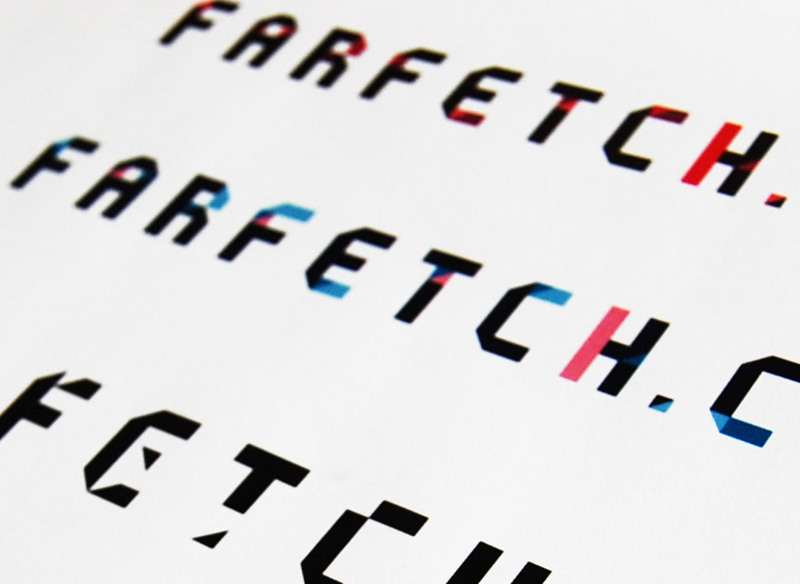 The creative direction of Farfetch remains unclear. Although the site is well-designed and intuitive, the formidable brand identities of its competitors such as Mr. Porter and SSENSE show the weak leak of Farfetch. The polished editorials of Mr. Porter and SSENSE communicate the taste-level and creative direction to their audiences. Consumers can loosely picture the average user of Mr. Porter and SSENSE. The stronger the identity, the larger the loyal customer base. With Farfetch, though it partnered with 24sq to form a distinct identity, the same exercise leaves me short. Since Farfetch has no control over its inventory, the company experiences a difficult challenge forming its creative direction. There are no Farfetch Buyers carefully curating the inventory according to the average Farfetch consumer. Although the lack of buyers is one of the fundamental properties of the Farfetch model, the missing brand identity can drive fashion-aware customers to label the site with negative connotations similar to Amazon: The Everything Store. In literature, Deus Ex Machina points to the plot device that solves a seemingly unsolvable problem. Farfetch solved the unsolvable problem of operating the world's largest online fashion retailer without physical inventory. In my eyes, Jose Neves is no different than Mark Zuckerberg, Jack Dorsey, Travis Kalanick, Elon Musk, and the Airbnb trio (Chesky, Gebbia, Blecharczyk). Each of the entrepreneurs I named above brought the dagger of technology deep into the hearts of stagnant or nonexistent industries. 21st century consumers aren't stupid; they can look through the facade of traditional companies faced with the Innovator's Dilemma. As if the world itself waited for their appearances, these companies leverage technology itself to disrupt industries. No amount of marketing or branding can force consumers to ignore the objectively better option laid out in front. Farfetch is that option.